Renew your PHCC membership before January 15 to receive $25 off your annual dues. Please email [email protected] or call 720.457.1192 with any questions. 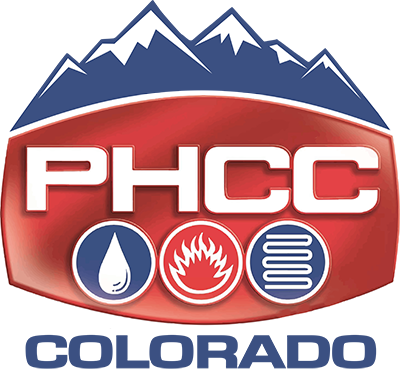 Ferguson and PHCC Colorado are partnering to offer customers $200 off new 2018 PHCC Memberships. Just mention Ferguson to get your discount when you join. Distracted driving is fast taking over drunk driving as the number one killer on our roads. It’s a problem being addressed by everyone from schools and employers to the federal government. But let’s not ignore drunk driving just because the number of fatalities is going down and distracted drivers grab the headlines. Drunk driving still holds a prominent place on the list of vehicle crash causes, and holidays—all holidays—increase the number of impaired drivers on the road. So whether it’s New Year’s Eve, Labor Day, or even Super Bowl Sunday, festivities and holidays present a higher risk of encountering a drunk driver. National campaigns against driving drunk, along with tougher laws and enforcement, have cut the number of deaths. But the business sector also has a responsibility to keep impaired drivers off the road. The employee routinely takes a company vehicle home from work. Not eager to go home to an empty house at the end of the day, and since it’s a holiday weekend, the employee stops at a local pub for a beer and a little revelry. Before long, that one beer led to three more. The news video of the accident scene clearly shows the company’s name on the side of the smashed truck, and the driver undergoing a field sobriety test. Whoever said “bad publicity is better than no publicity” completely missed the mark for incidents like this. No employer wants that kind of attention! Despite the progress toward zero deaths caused by drunk drivers, we’re not there yet. Any driver on the road at any time in any capacity plays a role in public safety—your employees included. Enforcing driving and drug and alcohol policies, employee monitoring and training, and employee assistance programs are things you can do right now to help your company stay away from bad publicity. For more information on drug and alcohol programs, employee training, and driver monitoring services, contact your local Federated Insurance representative. And when the next holiday or celebration approaches, remind your friends and family that you want them to make it home safely. That may not happen if they drive drunk.